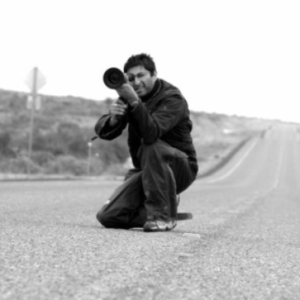 OSCAR and BAFTA Award-winning filmmaker Asif Kapadia is known for his visually striking films exploring characters living in timeless, extreme and unforgiving landscapes. His films have been distributed internationally, breaking box office records, won many awards and show how versatile and expressive British cinema can be. Born in Hackney, east London, in 1972, Kapadia studied filmmaking at the Royal College of Art where he first gained recognition with his short film, ‘The Sheep Thief’ (1997). Shot in Rajasthan, India, the film won several international awards including a prize at the Cannes Film Festival. His initial movie inspirations were from World and international cinema, Kapadia says the US director Spike Lee’s movie, Do the Right Thing, the Vietnamese drama Cyclo and Robert Bresson’s A Man Escaped were favourites. Kapadia’s debut film The Warrior was nominated for three BAFTA awards, winning Best British Film and Best Debut Film, as well as being nominated for Best Film Not in the English Language. His fourth feature, ‘Senna’, the story of the Brazilian motor-racing legend Ayrton Senna, was nominated for three BAFTA awards, winning Best Documentary and Best Editing. It went on to become the highest-grossing British documentary of all time and break UK sales records on DVD and Blu-ray. The film won awards around the world including the World Cinema Documentary Audience Award at the Sundance Film Festival. ‘Amy’, about singer-songwriter, Amy Winehouse has now overtaken Senna to become the most successful British Documentary of all time, winning numerous awards including an OSCAR, a BAFTA and a Grammy for best documentary. Asif ‘s next project is MARADONA, a feature documentary on the life and career of the great football player Diego Maradona.